The succinctly named Pulse XF 125 GY-2B Adrenaline had a superb month in October, registering 76 sales and topping the Adventure Sport segment in terms of new registrations. But despite its strong sales last month, it’s still a bit of a surprise to see the Pulse name in amongst the big boys like Honda and BMW. 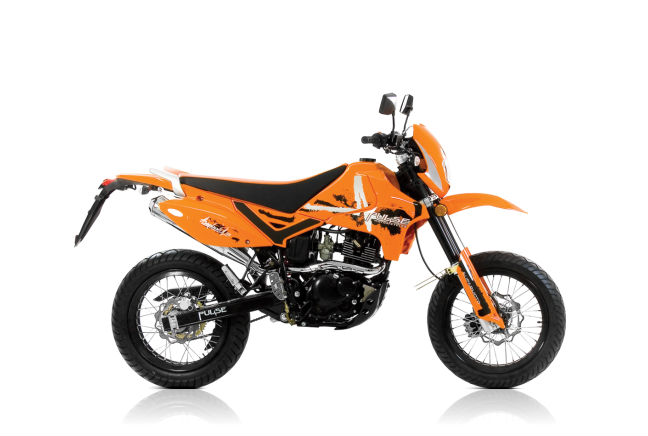 The Adrenaline, as it’s referred to in order to save 30 seconds of your life, is typically styled for an adventure sport model with high ground clearance, large front forks and mud flaps at either end. It also comes with typical off-road inspired livery and with a pricetag of just under £1,400 it’s easy to see why the model appeals to so many UK riders.